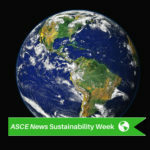 This week, ASCE News celebrates Earth Day with a series of stories about sustainability and green engineering. 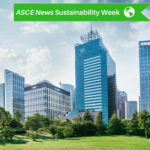 Check ASCE News each day for updates and visit ASCE’s hub of sustainability resources, where you can take action to engineer a sustainable future. For businesses, sustainability is more than an ethical pursuit – it can be a real money maker. 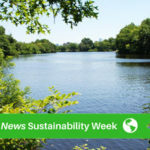 The biggest challenge lies in changing the mindset of business leaders who struggle to accept the notion that by strategically implementing sustainability into their business practices, they can actually improve and grow their businesses financially. But how can we convince them? 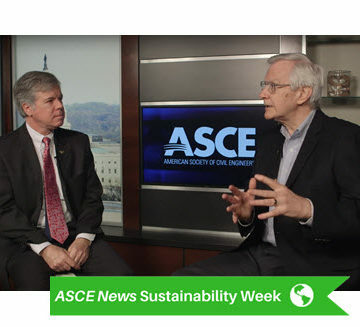 In this ASCE Interchange, Bob Willard of Sustainability Advantage, an author and leading expert on quantifying and selling the business value of corporate sustainability strategies, discusses how businesses can avoid risk, create efficiency, save money, and grow revenue through strategic implementation of sustainable solutions. Additionally, he explains how civil engineers can be agents for change in making sustainability a reality for their clients in the public and private sectors. To view all Interchange episodes, visit ASCE’s YouTube channel. ASCE Interchange is brought to you by Contech Engineered Solutions, a leading provider of site solutions for the civil engineering industry. Contech’s portfolio includes bridges, drainage,erosion control, retaining wall, sanitary, stormwater, and wastewater treatment products. For more info, visitwww.ContechES.com or call 800-338-1122. 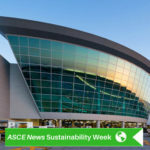 ASCE News originally published this story March 9, 2016. Sir, very nicely explained, sustainability. How it is important not only for a specific group. Make my concept more clear. I am interested in sustainable engeneering and history of construction articles. Thank you.